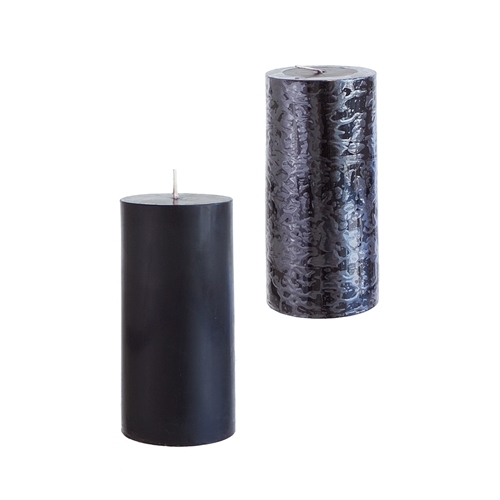 Bell-A-Roma wholesale mottled pillar candles, the mottled style 2.75 x 6 round scented pillar candle. 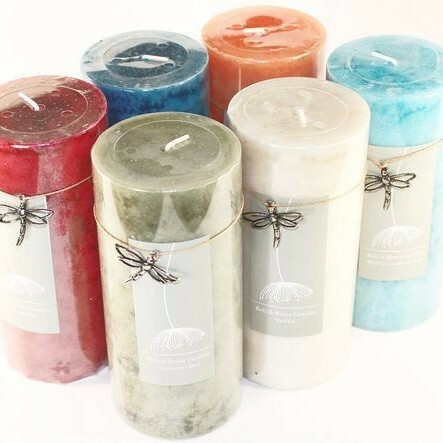 Case comes assorted with 6 colors and fragrances: Ivory = Vanilla, Olive Green = Cucumber Dew, Dark Blue = Rosemary Eucalyptus, Red = Sweet Pea, Light Blue = Wild Lavender & Sage and Orange = Lemon Tree. 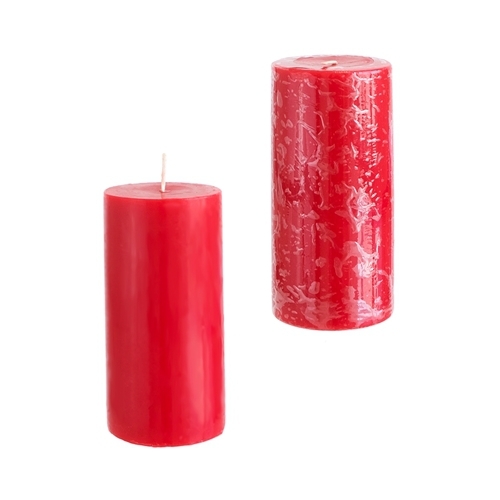 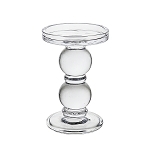 Candles are hand poured and solid through out with color and fragrance. 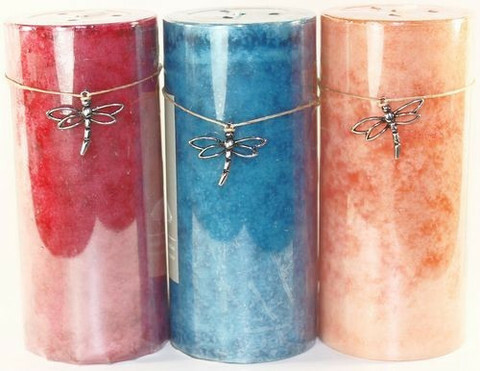 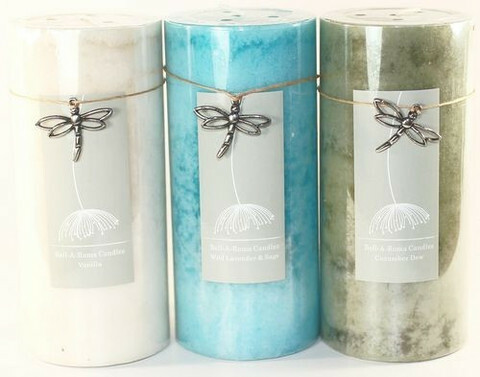 Each candle is individually shrink wrapped with a stylish label and metal hanging dragonfly. 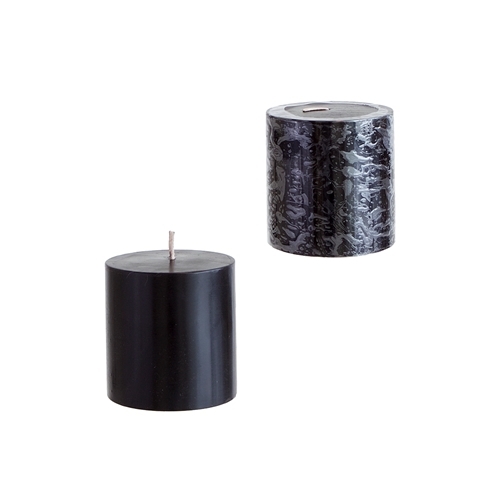 12 candles to a case, only available in assorted cases. 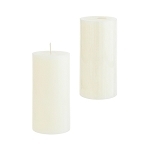 Burn Time is 55 to 60 Hours, made from paraffin wax.